Lake Harriet is now home to two new play areas that opened Tuesday. William Berry Park, north of Lake Harriet, and Beard's Plaisance, on the lake's southwest side, now feature brand new play equipment for both young and school-aged children. The Minneapolis Parks and Recreation Board celebrated the new play areas at a dedication ceremony Tuesday. The Park Board funded the construction with over $1 million in a Parks and Trails Fund grant, part of the Minnesota Clean Water, Land and Legacy Amendment. The Park Board approved the project in November 2010. Construction began last August. 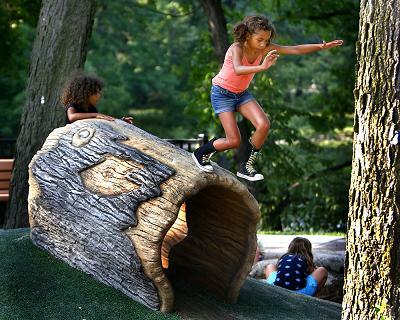 The new play areas have nature-themed equipment as well as picnic amenities.